A short biography of the contemporary Syrian anarchist, Omar Aziz, also known as “Abu Kamel.” This short biographical essay is followed by links to Aziz’s writings, further sources on Syria and quotes. Read more biographies of anarchist figures here. The Syrian anarchist Omar Aziz was born into a privileged family in the capital city of Damascus on February 18, 1949, and he studied economics at Grenoble University in France. Aziz worked in information technology in Saudi Arabia and the U.S., married, and together with his wife Nada raised two daughters and one son. According to Leila al-Shami, “Abu Kamel,” by means of his writings and efforts, “promoted local self-governance, horizontal organization, cooperation, solidarity and mutual aid as the means by which people could emancipate themselves from the tyranny of the state.” Aziz co-founded the first local council in the working-class district of Barzeh, Damascus, in late 2011, thus contributing significantly to the subsequent development of the Local Coordination Committees (LCC), known in Arabic as tansiqiyyat (“councils”), which would be established throughout the liberated regions by self-organized communities. Hassan writes that Abu Kamel anticipated the flowering of democratic self-government in the regions that would be liberated by the Revolution, even as most of the country remained under military rule early on. She asserts that Aziz found inspiration for the council system in Rosa Luxemburg’s writings, whereas in parallel, Joey Ayoub observes that several notable components of the Constitution of the Rojava Cantons, including the emphasis on the right to self-determination and unity among distinct ethnic groups, mirror Aziz’s vision. To truly do away with oppression, Aziz believed that revolutionary change must come to permeate all aspects of social relations. Similar to classical anarchist Peter Kropotkin, he celebrated the spontaneous processes of mutual aid engaged in by besieged Syrians—the organization of medical, legal, or food aid among the Revolution’s base communities. In this sense, we can glean that Abu Kamel advanced an anarchist political critique of the Assad regime and organized to prefigure an emancipated future, but his strategy for social transformation does not appear to be specifically anarcho-syndicalist, platformist, or especifist, as it does not appear to explicitly identify the workers and peasants as the actors who will bring about the Revolution. This is at least what we can gather from his first paper on the councils, where he may be endorsing the idea of a cross-class alliance, though we know he wrote another paper on the councils, which has yet to be translated into English. Yet even this preliminary conclusion may be mistaken: Hassan reports that it was “working-class communities who first embraced his ideas” in Syria, whereas al-Shami clarifies that Aziz “helped found four local councils in the working-class suburbs of Damascus before his arrest,” including one in Daraya, an agricultural town in which would subsequently blossom one of the most moving experiments in democratic self-governance from the Syrian Revolution. On November 20, 2012, Aziz was arrested by the Regime mukhabarat, or secret police, and held in an intelligence-detention facility in Mezze, Damascus. According to a Human Rights Watch investigation, his 4-by-4 meter cell reportedly contained over 80 other detainees in it. Following his transfer to Adra Prison on the outskirts of Damascus, Aziz’s condition deteriorated quickly. In accordance with the testimony of a fellow inmate survivor, Aziz lost at least thirty pounds during his three months of incarceration, when he was subjected to poor food and psychological torture, whereby authorities would lie and tell him that his family members were also imprisoned with him. Diagnosed previously with hypertension, or high blood pressure, Aziz was transferred to Harasta Military Hospital in the morning of February 16, 2013, and died there the same day, likely due to stroke or heart attack. Yet after more than seven years of brutal counter-insurgency and the outright extermination of an estimated 100,000 political prisoners, we know that the Assad Regime often employs such euphemisms as “heart failure” or “respiratory arrest” to cover up its responsibility for the mass-murder of detainees through starvation, disease, torture, and other abuses. Thus, as with Ricardo Flores Magón, another imprisoned anarchist martyr, while in the case of Aziz, we are unsure if the comrade died due to outright political assassination, medical neglect, or both, it was certainly Abu Kamel’s political incarceration in Adra Prison which took his life away. 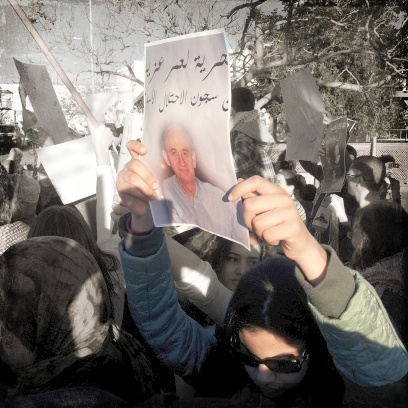 The tragic fate of Aziz mirrors that of the Syrian Revolution, which began with the high hopes of overthrowing despotism, instituting democracy, and restructuring society in the interests of social justice in place of class oppression. Robin Yassin-Kassab remarks that Aziz’s reconstructive vision of regionally and nationally federated councils arose and existed in liberated Aleppo, Idlib, and Der’aa, as well as in the region known as Rojava (now the Democratic Federation of Northern Syria), where the councils are called communes. Unfortunately, these two potentially emancipatory currents have often been at odds with each other since the beginning of the Revolution, as before it. The sub-imperialist role played by the Turkish State in essentially ‘sponsoring’ armed rebels in the north and redirecting them to serve its own interest of crushing the Kurdish freedom movement has been key to the lamentable splintering of the uprising into the seemingly bifurcated Syrian and Rojava Revolutions. Political, religious, and ethno-racial tensions and conflicts between the two movements persist today, in light of the Arab nationalism which is sometimes hegemonic among Syrian rebels and the tenuous neutrality or at-times cooperation between the Kurdish political-military leadership and the Assad-Putin axis. Reflection on the life and death of Omar Aziz, “Abu Kamel,” may compel us to advance the minimal demand of amnesty for all detainees held by the Assad regime and opposition forces in our engagement in solidarity with the peoples of Syria.